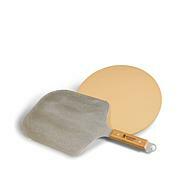 As part of your KettlePizza grill kit this peel and cordierite stone will help you make delicious wood-fired pizza. 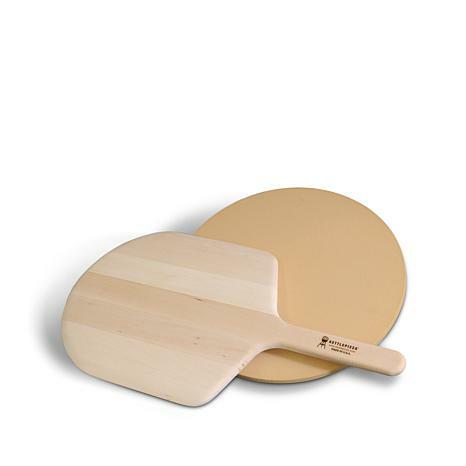 These stones will withstand temperatures in excess of 1000 degrees Fahrenheit and dispense the heat evenly for a crispy crust. Then use the peel to carefully remove your tasty pie. 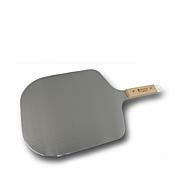 Use these handy tools with your grill or your oven when you have the gang over for a pizza party this weekend. 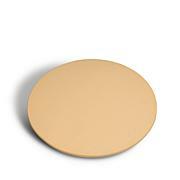 Weight: Cordierite pizza stone approx. 6.6 lbs. 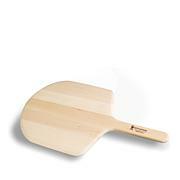 Wooden pizza peel approx. 14.4 oz.